Q: What do you see as the board’s top priority ? A: Maintaining and attracting quality educators to our system. Q: What is your vision for education in this community? A: Continue to increase the graduation rate from Fannin County High School and ultimately achieve our mission of 100%, which I believe is possible. I would work closely with the school system administration and the superintendent to identify creative opportunities to achieve this goal. Q: How can you contribute to a successful achievement of this vision? A: Achieve 100% graduation rate though more comprehensive mentoring and tutoring programs that reach more of our students starting early in their education experience and continuing through high school. Also, identify vocational programs that could be offered in Fannin County schools that target meaningful career paths for our student population who may not want to attend college after graduation. Q: What kind of relationship should a district/the board have with its community? With its parents and families? 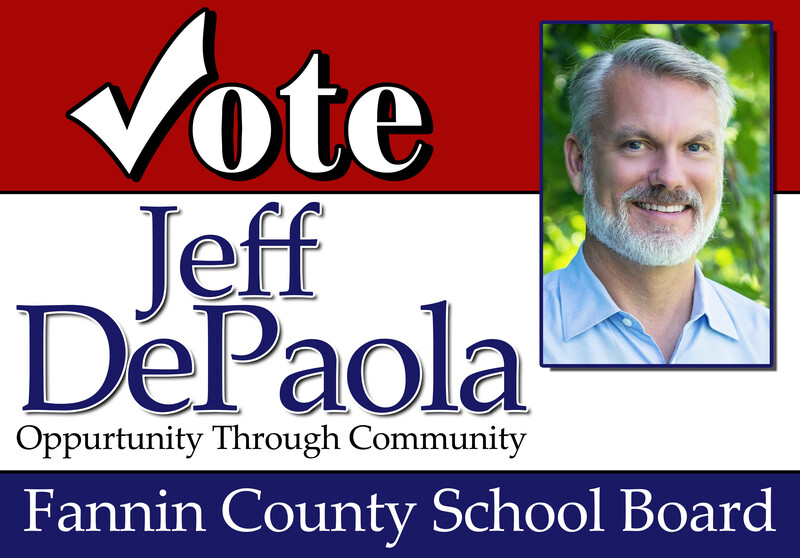 A: My campaign slogan is Opportunity Through Community so I intend to be a bridge between the school system needs and our growing Fannin County community. 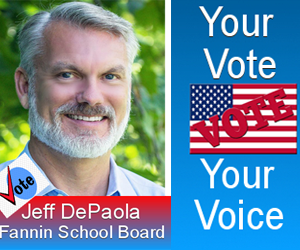 I believe we have an outstanding base of quality full and part-time residents that would be willing to participate in expanded education related mentoring and tutoring programs. Also, with our business and higher education community expanding rapidly, there will be more opportunities for partnerships that will benefit our student population. Jeff was born in Phoenix, AZ and graduated high school from Schaumburg, IL. He started with Delta Air Lines in Chicago shortly after high school in 1978 and transferred to Atlanta in 1982 to be trained as a mainframe computer programmer.